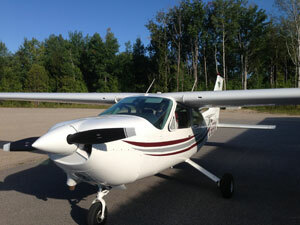 Many BFC memberss are also members of the Canadian Owners and Pilots Association (COPA). This is an important group advocating on behalf of general aviation in Canada. This letter from COPA to NAV Canada regarding ADS-B is a good example of how our membership dollars are used to help protect our interest. Click here to see the letter. Our March meeting will be held March 31 at 10:00 in the banquet room at the Hangar Bar and Grill. We’re lucky this month to have our own Leath Greenwood doing a presentation on his own personal experiences flying the F18 and military formation flying. The restaurant doesn’t open until 10:00 so those wanting to grab a bite to eat can do so afterwards. We have a couple COPA events planned that it would be great to have lots of help and participation in. First will be a Doors Open and Fly in pancake breakfast on May 26 and the second will be a COPA for Kids on July 21. Thanks to Karen Howell for coming forward to coordinate the COPA for Kids event.